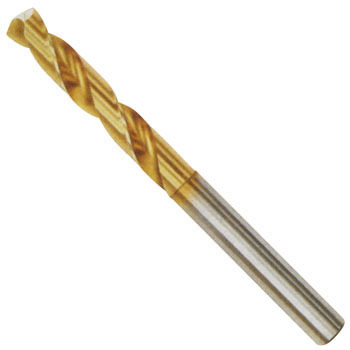 Used in hand drills and small drilling machines. If it is a normal type, it is too long to get in the way, so choose a short type. It was just right length. However, I thought that it is easier for people with sharp tip angles to dig into a bit more. This review is about item#8658553. It is good that it is difficult to shake for a short time, the sharpness also has no problem and the hole became beautiful. This review is about item#8658456. There are only major manufacturers and it will be a beautiful opening. It is a leading figure of the shadow of a tap stand. This review is about item#8658657. Since there are sizes in increments of 0.1 mm in size, We can deal with it, it is handy. This review is about item#8658797. The hole of 6.0 mm diameter was expanded to 6.3 mm diameter. It was very sliced ​​and the hole opened smoothly. This review is about item#8658474. Because it is short and has high rigidity, the escape of the cutting edge can be small without using a punch. This review is about item#08658097.